Building on the international success of its heralded S-SERIES, Adamson Systems Engineering will add the S10n line array cabinet to its offerings and introduce the integration-focused IS-SERIES family of loudspeakers. "S10n emphasizes Adamson's commitment to the touring market," comments Marc Weber, Director of Product and Brand Management, Adamson Systems Engineering. "Based on requests from our strong clientele of touring users, this narrow version of the S10 was developed to increase the long-throw capability of S-SERIES loudspeaker packages and further expand their usability and performance in reflective spaces." 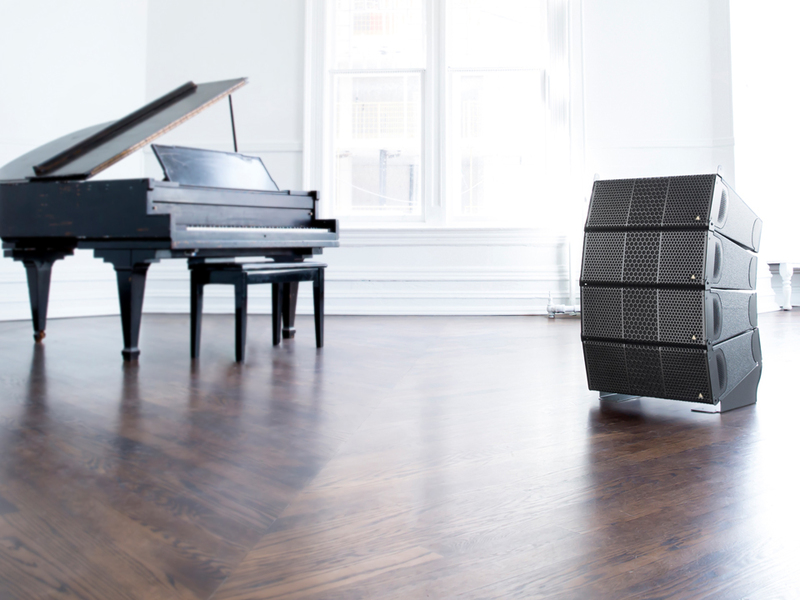 The IS-SERIES will make its debut with the IS7 and complementing IS118 subwoofer. The IS-SERIES packs Adamson's sophisticated tour-level technology into sleek, architecturally-friendly boxes with rugged but unobtrusive rigging solutions. As founder and namesake Brock Adamson explains, the IS-SERIES is a natural progression for the rapidly growing company. "Adamson has a clear vision for the touring and installation markets," he says. "Through three years of continuous rapid growth, we have not wavered from our commitment to vertical integration. By placing our product engineering team in a common environment with industrial machinery and processes, we discover ways to engineer more hard value into product. Our newest segment-focused products are a demonstration of that philosophy, revealing the performance standard that people expect of the brand." The IS7 is a two-way, full-range range line array cabinet containing two ND7-X5, 7" Neodymium drivers and an NH3, 1.4" exit compression driver. The critically optimized waveguide produces a slightly curved wavefront with a nominal dispersion pattern of 100° x 12.5° (H x V). The waveguide's efficiency allows for increased vertical dispersion without sacrificing high-frequency presence in the far field while the patent-pending Controlled Summation Technology further eliminates the low-mid lobing normally associated with two-way line source systems. The companion IS118 subwoofer is loaded with a lightweight, long excursion 18" ND18-S Kevlar Neodymium driver utilizing Adamson's Advanced Cone Architecture and a 4" voice coil for exceptional power handling. It is mounted in an ultra-efficient, front-loaded enclosure, designed to reproduce clean, musical low-frequency information.